Asea Tremp Photography of Orange County, California area is a portrait and event photographer specializing in couples, maternity, kids, families, special events. She is a proud volunteer photographer with Welcome Them Home! Welcome Them Home is an incredible organization which helps military families find a local photographer to photograph their homecoming at no charge. Asea Tremp Photography covers Camp Pendleton, Seal Beach Naval Weapons Station, and Los Alamitos Joint Forces Training Bases, as well as ports from Oceanside to San Pedro, and LAX, Long Beach, and Orange County airport. To find out more about these services click on her website here. 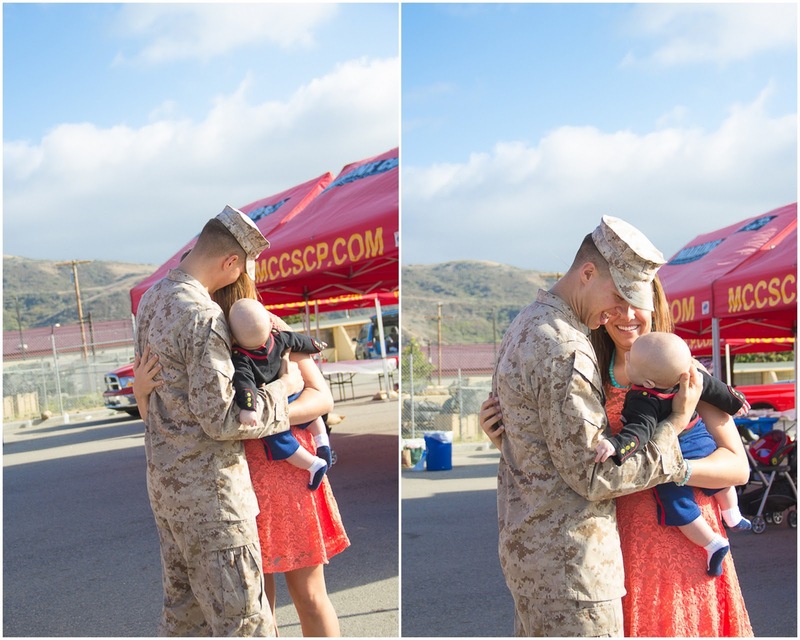 Recently Asea had the honor of photographing a homecoming at Camp Pendleton in California. 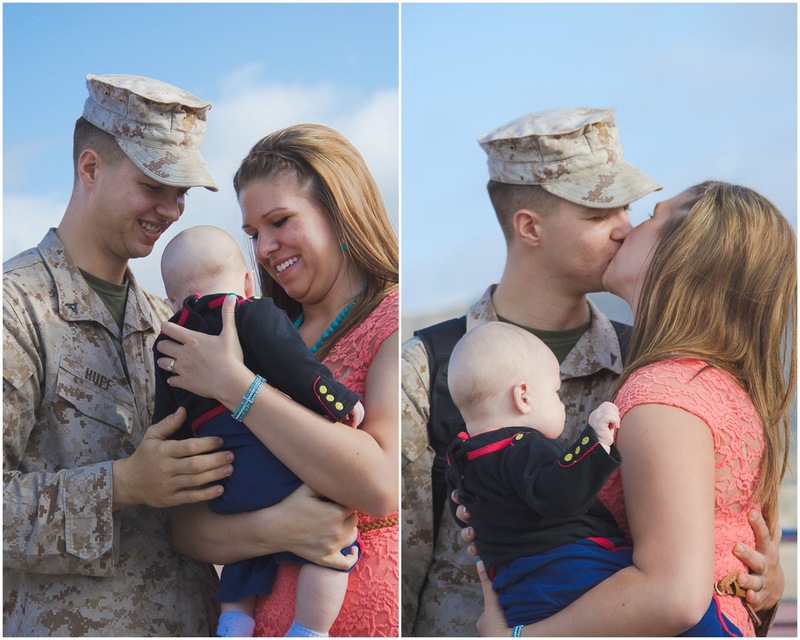 She describes, "This was a very special homecoming because the adorable little guy was born while Daddy was deployed, and to top it off the Marine had no idea his family would be there waiting for him - it was a complete surprise! 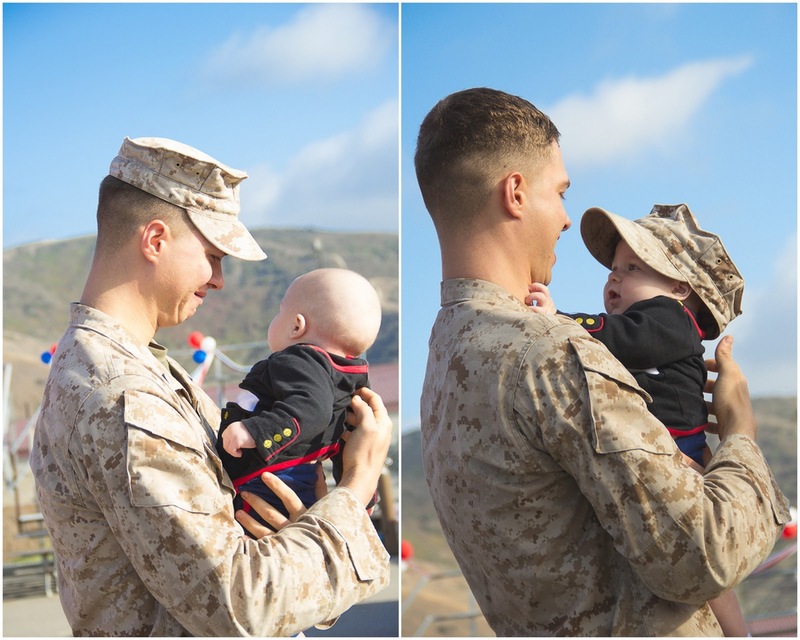 Homecomings are always special but this was beyond amazing to be a part of, and had me in tears the minute he picked up his son for the first time. I couldn't have wished for a more picture-perfect Southern California day to welcome these guys home, it was gorgeous!" 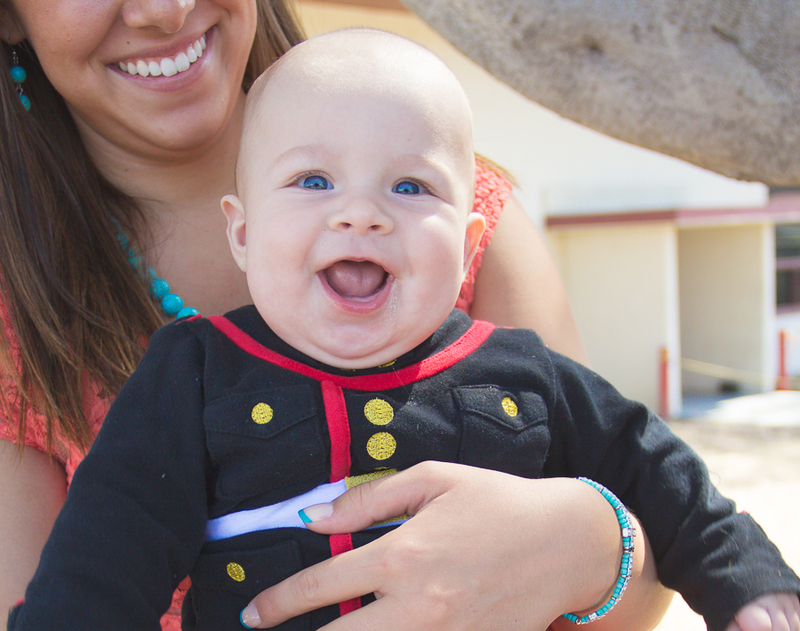 Click to buy the Baby's Dress Blue 2-Piece Set here, he looks so cute in that little outfit! 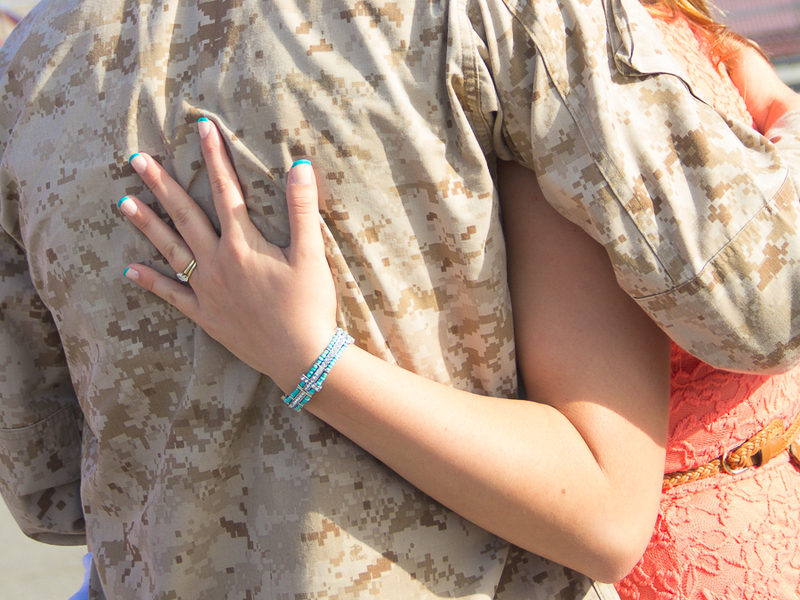 Thank you Asea for sharing this happy homecoming.